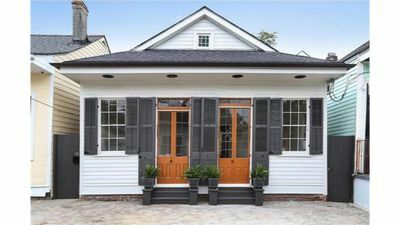 This charming, historic cottage, originally built in 1890, was totally renovated in 2006 with heart of pine hardwood floors throughout, 12 foot ceilings, and drenched with natural light. Your nightly rate also INCLUDES secure, gated parking for 2 vehicles. A security gate with key-pad entry provides guests access into the property's private, rear driveway. 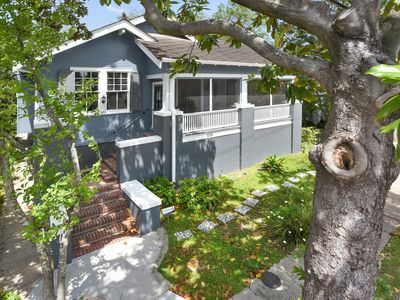 This 1,000 square foot home has 2 independent bedrooms (each with a queen-sized bed) and 2 independent full baths, this home sleeps 2 couples (4 guests) very comfortably. 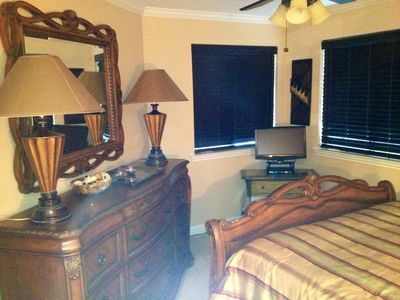 Need a 3rd bedroom for more privacy? The sleeper sofa in the living room folds out into another queen-sized bed. Each of the bedrooms and each of the bathrooms are located off the main sidehall. The 2 full baths (located next door to each other) separate the master bedroom from the guest bedroom allowing comfort and plenty of privacy for the occupants of each bedroom. The oversized French doors at the front o the property allow plenty of natural light to flow into the large, open space for the living room, dining room, kitchen open, expansive area. Enjoy your morning coffee or your afternoon cocktail on the private outdoor deck. 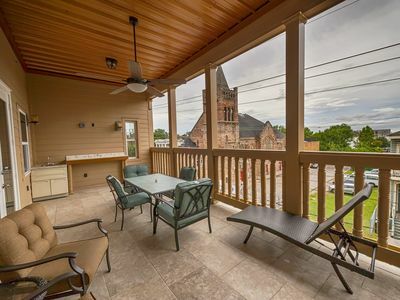 This luxurious home has all the amenities: a spacious, fully-equipped kitchen with beautiful granite countertops, dishes, utensils, pots/pans, microwave, stove/oven range, full-sized refrigerator/freezer, dishwasher, coffee pot, toaster, WASHER/DRYER, iron with ironing board, cable TV, and internet. Plush towels, 800-thread count bed linens, and hair dryer also included. 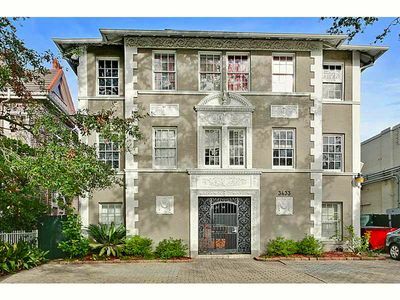 You will be within walking distance to fantastic hometown restaurants (where the locals go, not the expensive French Quarter tourist traps), funky, live entertainment venues, the eclectic Country Club, and beautiful Crescent Park. 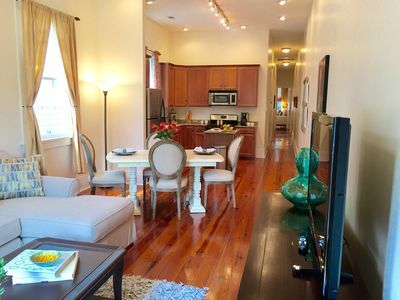 You won't find this much space and amenities in the French Quarter, and certainly NOT parking. 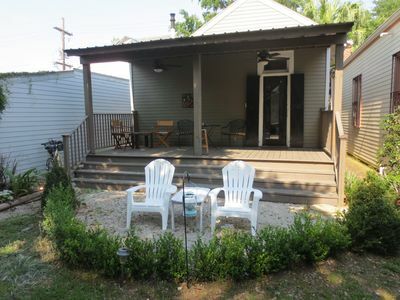 Come hang with the locals and stay in the hippest, trendiest part of town: the Marigny/Bywater area. New experiences and memories will be made in this hotspot unknown to most visitors. 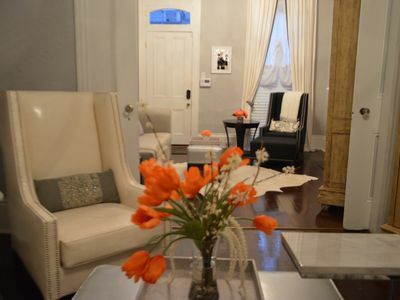 Leave your car parked at the house and take a quick Uber ride into the French Quarter and to Frenchmen Street. 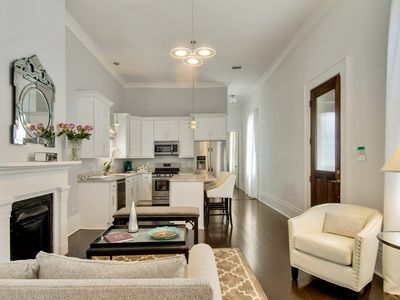 Or, take a leisure drive down world-renowned Saint Charles Ave. to view the historic mansions, visit Audubon Park & Golf Course and the Audubon Zoo. Or take a short drive to the Lakefront and enjoy a picnic lunch on the levee while waiting the busy sailboat and fishing activities on the Lake. 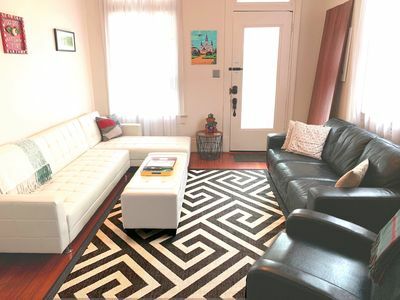 This home with parking gives you not only spacious accommodations, but the flexibility and freedom to explore the distinctively different neighborhoods/areas of our very diverse city. BEAUTIFUL, AFFORDABLE & GREAT LOC!